Crescent Designed Metals utilized two custom extrusions by Mac Metals. 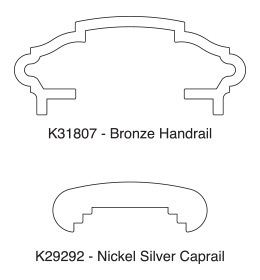 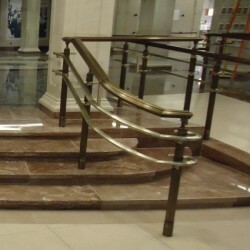 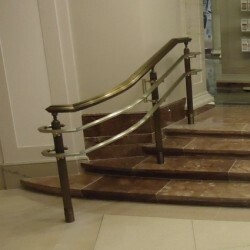 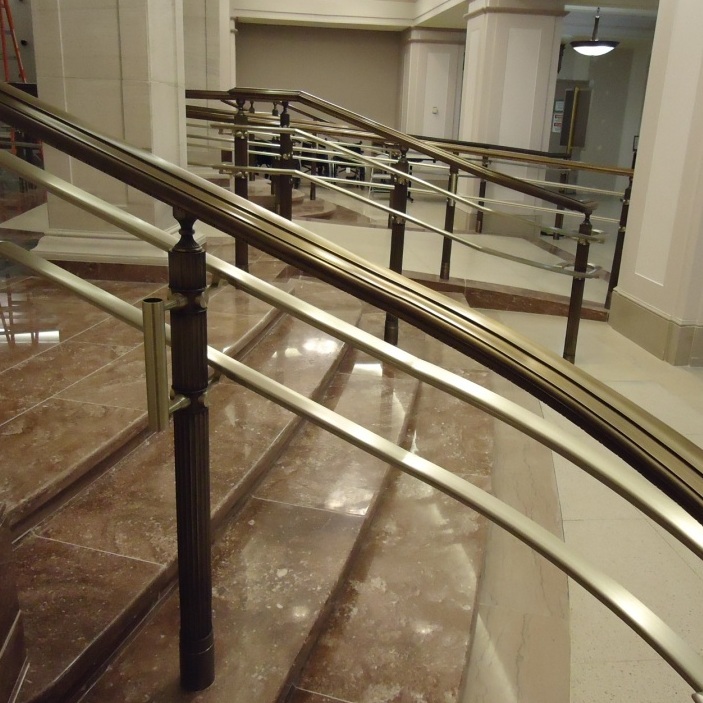 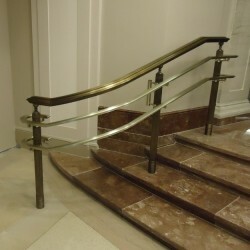 The bronze cap rail was done with a statuary finish and the nickel silver handrail was done with a satin finish and lacquer. 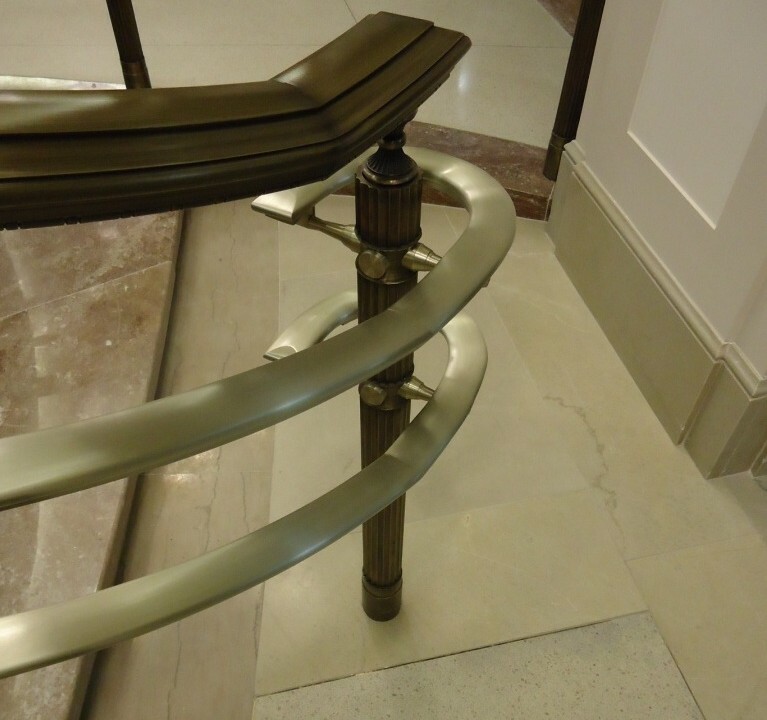 Bending was done by Mid-American Metal Forming, Rogersville, MO, and the fluted bronze posts were cast by Laran Bronze of Chester, PA. 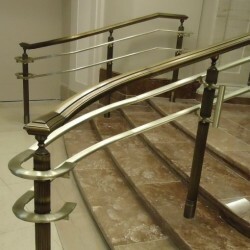 This is an outstanding example of the aesthetics created in combining bronze and nickel silver. 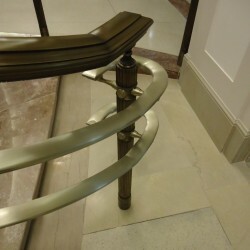 Also a good reminder of how cast and extruded forms of bronze can be combined to create fine art, accurate renovation and replication, and new architectural elements.